SARONNO, Italy – With my move to the Riviera on hold due to technical difficulties, I thought I’d drown my sorrows in some Ligurian food. While it’s sometimes hard to find authentic fish recipes to post on this blog because most Italian recipes start with scaling and gutting the fish, this recipe uses filets – and I go even a step further and commit the mama of all Italian peccati, (sins) - I use frozen fish fillets. 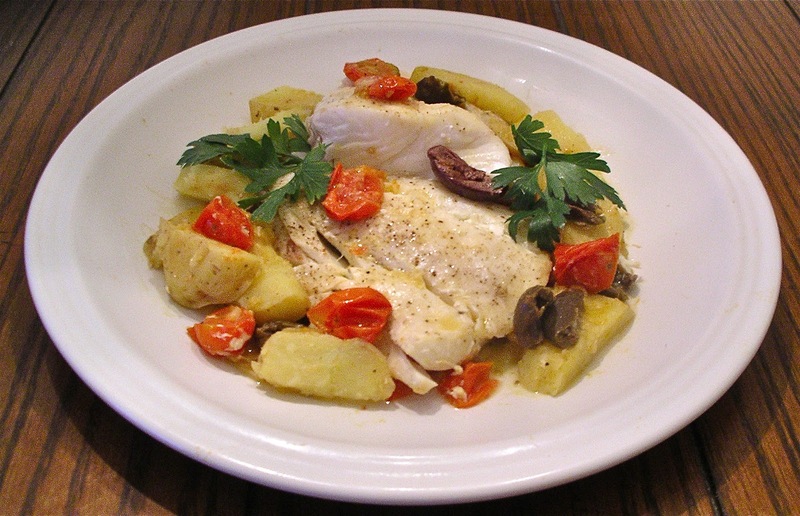 The two recipes are basically the same, just a few minor differences, but the concept of fish, potatoes and the little black olives from the Riviera is a winner. Here’s the first recipe. Arrange the cod fillets in a bowl, sprinkle with lemon juice and season with a pinch of salt, freshly ground pepper and 2 tablespoons of oil, and let marinate for about 30 minutes . You might want to turn the fish a couple of times during the marinating time. Meanwhile, thoroughly wash the potatoes and cook until al dente in plenty of salted water. Let cool for about 20 minutes after boiling, drain, peel and cut into thick slices. Wash and cut the tomatoes as well if you are not using cherry tomatoes. Otherwise you can leave them whole. Put the cod fillets in a baking dish, leaving a little space between them, spread the potatoes around the fish, add the tomatoes and olives, add salt and pepper and sprinkle with 2 tablespoons of extra virgin olive oil. 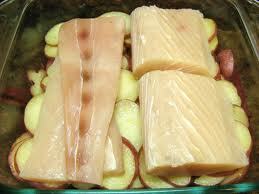 Preheat the oven to 200 ° C. Cook the fish for about 10-15 minutes, or until the surface of the potatoes are golden. 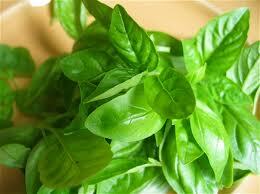 Remove from the oven, sprinkle with shredded basil leaves and serve immediately. 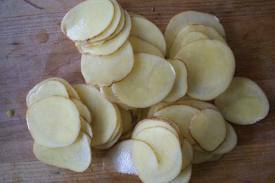 My recipe starts with peeling and slicing the potatoes. Layer them in a baking dish, (no more than two layers), drizzle with extra virgin olive oil and bake in a 350⁰ F oven until they are 99% cooked. Cooking times depends on how many potatoes you use and the size of your dish. When they are cooked, lay the raw fish on top of them and add a handful of Taggiasche olives, the little ones from the Italian Riviera. Drizzle the fish with some olive oil and cook for another 10 minutes or so, just until the fish is cooked. You can also add some cut up tomatoes or cherry tomatoes and a few tablespoons of chopped parsley at this point too. Remove dish from oven and let it sit for about 10 minutes, then serve. I use frozen cod fillets for this recipe, and defrost them before cooking them. You can use almost any kind of firm, white fish. Just be careful to chose filets that are at least 1/2 inch thick, if they are too thin, the fish will dry out, and that’s not good - but this recipe really is - really.